This is the second texture pack for MCPE ported to Inner Core (this is a unique launcher that has much in common with BlockLauncher but surpasses it in some ways). In short, Faithful for IC allows you to play simultaneously with cool mods and textures, but there are no conflicts or errors. The resolution is 64x, so beforehand, free up more memory on your device since high-resolution textures are very demanding. Faithful is probably the most popular texture pack existing in Minecraft PE, it has long been a prototype for other textures. Move "Faithful 64x64" to games/com.mojang/mods/. 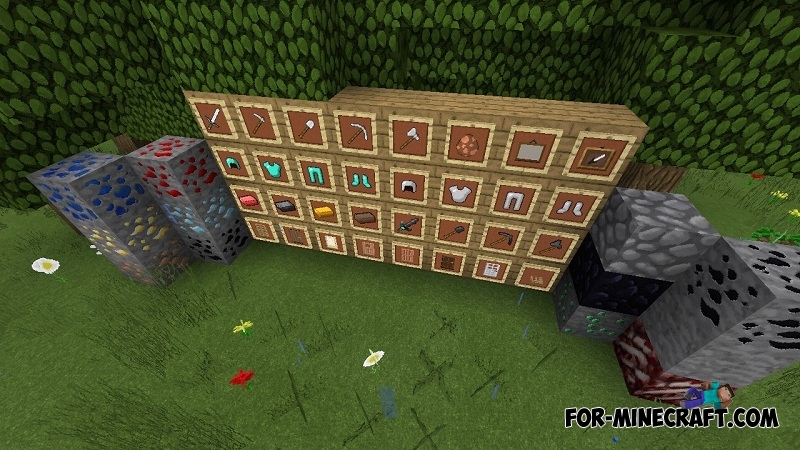 Faithful Textures for MCPE 1.9/1.10/1.11 (32x/64x)Now you can play with the most popular texture-pack for MCPE! It is well suited to players who are tired the standard graphics of the game..